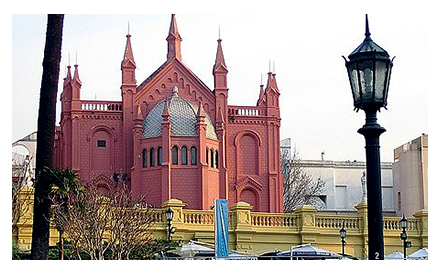 Recoleta is one of the city of Buenos Aires' most culturally and historically important neighborhoods, and for this reason many visitors choose to rent rooms in Recoleta. The nightlife is concentrated in front of the Cementerio de Recoleta, where there are many restaurants and bars. Many different bus lines pass through Libertador, Pueyrredón, Las Heras and Santa Fé Avenues, in addition to the "D" Line of the subway. Room with separate entrance with absolute privacy in an elegant building in the neighborhood of Recoleta. Cozy double room for 2 people to rent in a very nice apartment in Recoleta. It’s a very calm place, with an internal patio where you can relax whenever you want. ¡If you are looking for privacy this room is perfect for you! This comfortable private room has a small private toilette just for you. Single room to rent in a very nice apartment of young people in Recoleta. Single room to rent in a very nice youthful apartment in Recoleta. It has a private toilette. Single and colorful room to rent in a very distinguish apartment in Belgrano. The room has private bathroom. Single room to rent in a very nice apartment in Recoleta.